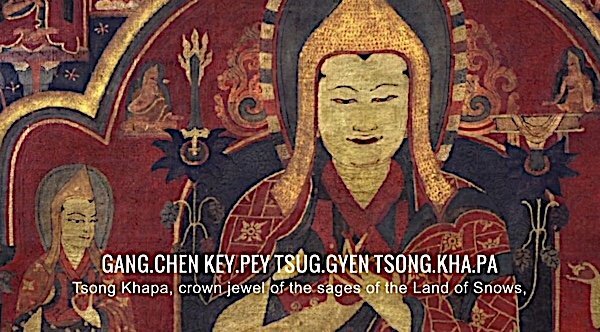 The benefits of the powerful Migtsema prayer or mantra is well-documented by many great teachers of the Gelug lineage — including H.H. Dalai Lama, H.E. Lama Zopa Rinpoche, H.E. Zasep Tulku Rinpoche. Its beauty and simplicity and benefits are near-legendary. For busy people, Lama Tsongkhapa’s practice is particularly efficacious, as it combines three major practices in one meditation. Of course this Great Protector in the Land of Snows was Lama Tsonkhapa. 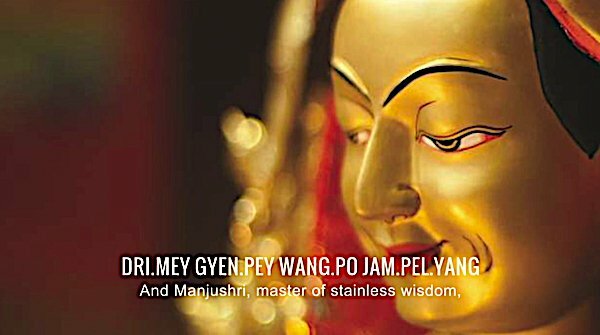 Virtually all Tibetan Gelugpa teachers teach this very powerful, yet accessible praise and mantra. The Migtsema does not require initiation or empowerment—although the guidance of a teacher and initiation are beneficial. As the embodiment of three Buddhas — Avalokiteshvara, Manjushri and Vajrapani — Lama Tongkhapa’s practice and mantra is particularly effective for Buddhist practitioners. 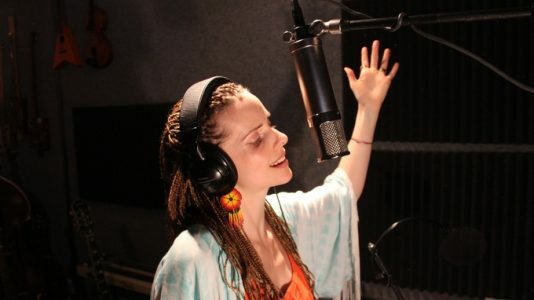 Simply chanting the Migtsema, (chant along with the magnificent voice of Yoko Dharma in the video below!) 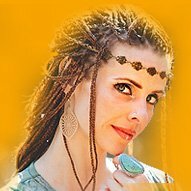 can have many benefits, from healing, to increasing your love and compassion, to insights and wisdom. Chant along with Yoko Dharma! 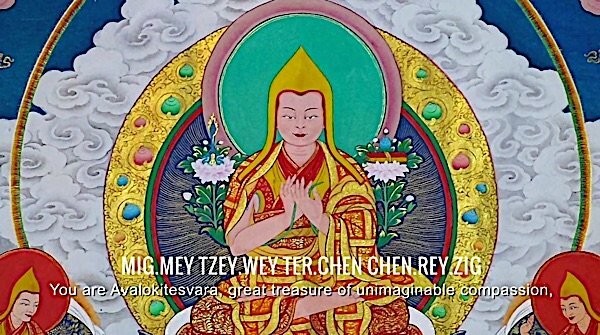 Lama Tsongkhapa was the founder of the Gelug school, considered an Enlightened Being embodying the qualities of Chenrezig, Manjushri and Vajrapani. Renowned for it’s near-miraculous healing and protective qualities, the Migtsema can be chanted by anyone, with or without empowerment or teachings. 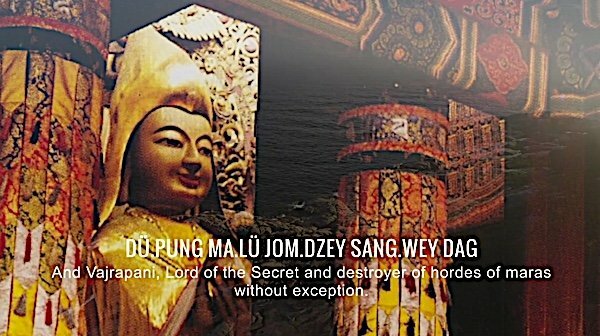 And Vajrapani, Lord of the Secret and destroyer of hordes of maras without exception. 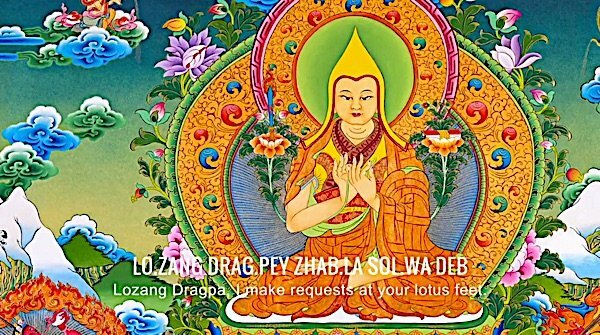 Lozang Dragpa, I make requests at your lotus feet. What’s Your Karmic Net Worth? Avoid Compound Negative Karmic Interest with Vajrasattva Mantra and Four Opponent Powers. Happy Losar: How to Bring in the Auspiciousness and Celebrate the Traditions and Fun of Tibetan New Year of the Rooster. Tashi Delek!